Need an easy idea for dinner tonight? We have a winner recipe that is perfect for this time of year. It is also a great one to keep on hand for back-to-school dinners since it is so easy to make and is kid friendly as well. My two boys LOVED this dinner when we originally tested it and I wished I had made extras based on the response. (I also have to admit I went heavy on the cheese but that is up to you!). All up it should take you about 30 minutes to get it on the table. If you want to make your dinnertime even easier, consider prepping the veggies in advance so you can just get right to cooking. Serve it with a simple green salad or some fresh fruit and you have a complete meal without a lot of effort – our idea of a perfect dinner. Why should you make this for dinner tonight? You can easily substitute with other veggies. For instance, if you don’t like bell peppers, swap out for shredded carrots or chopped broccoli instead. Most importantly, it is delicious! Preheat broiler. Heat oil in a large skillet at med/high. Add chicken and season with salt and pepper. Brown on both sides-about 5 mins. Reduce heat to med/low. Place onions & peppers on top of chicken and sprinkle with garlic & oregano. Season with additional salt and pepper, if desired. Cover and cook for 5 to 8 mins until vegetables are tender and chicken is cooked through. While cooking, place bread slices on baking sheet and spread with a bit of butter. Place bread under broiler & toast for a few mins until just golden brown. Remove. 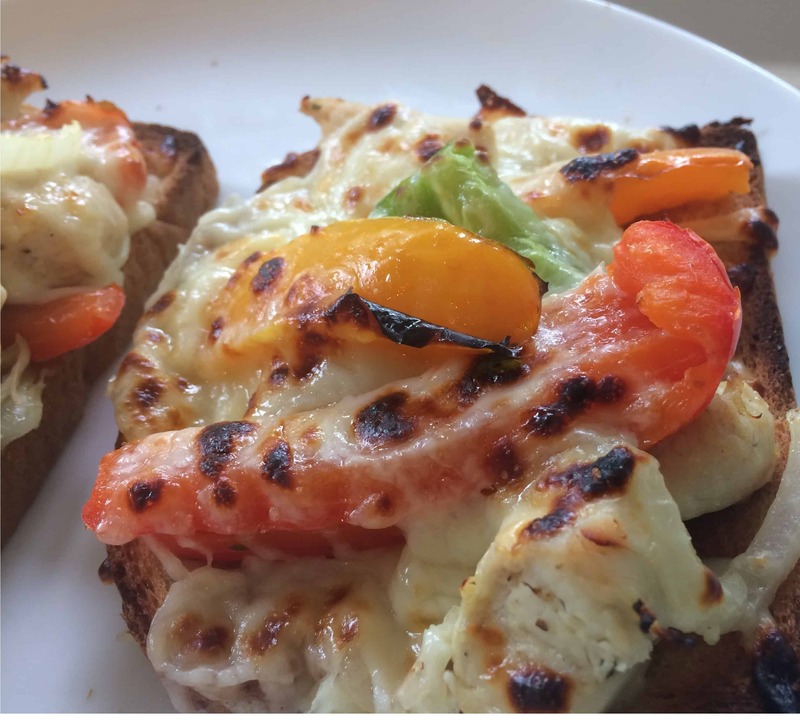 When chicken and veggies are cooked, distribute chicken mixture over bread slices and sprinkle with mozzarella cheese. Place back under broiler until cheese is golden and veggies are browned. Serve with a simple garden salad or fresh fruit for an easy quick dinner! If you like this recipe and would like other ideas like this one for dinner tonight, learn more about The Dinner Daily or try a free trial by clicking on the button below.